Have you ever enjoyed the fresh scent of a orange being peeled? Or relaxed in a lavender-scented spa? If yes, then what you experienced was the aromatic qualities of essential oils. Essential oils are naturally occurring compounds found in various parts of plants including the seeds, stems, roots, flowers, and bark. 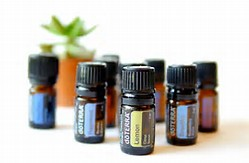 Just like an orange gives our bodies nutrients (such as vitamin C) or cinnamon aids our immune system, essential oils also offer a wide range of emotional and physical wellness applications. Because essential oils are the natural oil of each plant, root, etc, we receive the benefits of that plant on a magnified level. The oils of the plants are distilled into oils. You and your family deserve the best! However, not every oil on the market is the same. Essential oils can be compromised through adulteration, poor quality plants, or a chemical distillation (instead of steam.) Compromised oils can actually cause more harm than good. If you are putting products on your skin or IN your body - never settle for less than the best. Once you dive more into each category, you'll soon discover the countless ways to enjoy essential oils in house. Diffuse: Create fun combinations, try out soothing blends, or purify your house from stinky smells. Ingest: Try peppermint for an upset stomach, cook with oregano oil, or boost your immunity with OnGuard. Essentials oils are natural and they are extremely potent - but just because something is natural doesn't mean should eat it! Be careful when ingesting oils, always measure the correct amount of drops. Additionally, some oils like peppermint and oregano are "hot" oils,which means that can irritate the skin if they are put directly on the skin; in these cases mix the oils with a carrier oil such as almond oil or coconut oil. I am not a doctor or medical professional. Please consult your doctor if you have any concerns regarding your specific health conditions and the use of essential oils. Curious how essential oils can improve your life? If you are interested in how essential oils can help you meet your health goals, set up an appointment with me! We can talk about your specific health goals, and I can share a little bit about essential oils. Alternatively, you can attend an upcoming online class. Email us for the next class date. In this 30 minute class, I will explore the basics of essentials oils. You are not obligated to purchase anything - come to learn! If you decide to purchase, I can help you order. For more information on how to order, please go here.